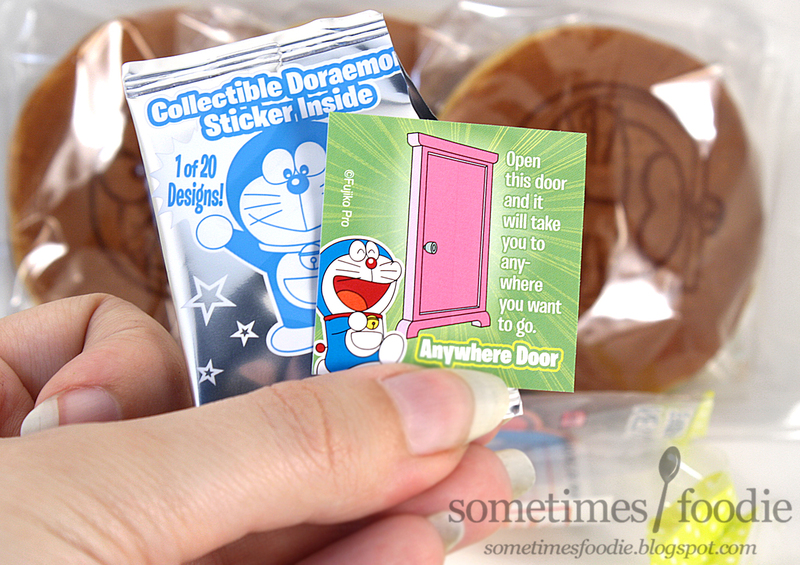 I actually reviewed dorayaki way back in 2012, and although I stand by my old post, it wasn't all that detailed. Back then I didn't write as much as I do now, so I thought this was a product worth re-visiting. Plus this version has Doraemon on it, and it comes with a collectable sticker, how could I pass that up? First I'll do a quick run-down on what dorayaki actually is. 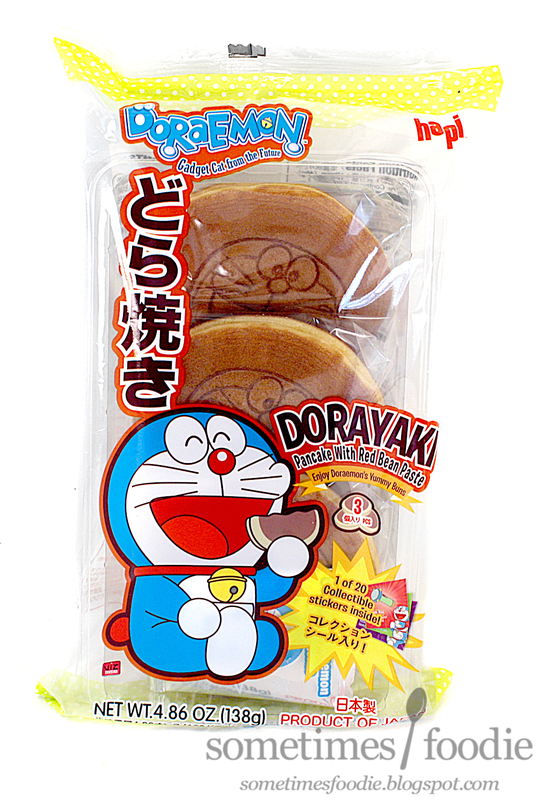 Dorayaki is a Japanese dessert/snackfood item that consists of two sweet "pancakes" with a red-bean filling in between. (And they just so happen to be Doraemon's favorite snack.) Beans in a dessert? Madness! 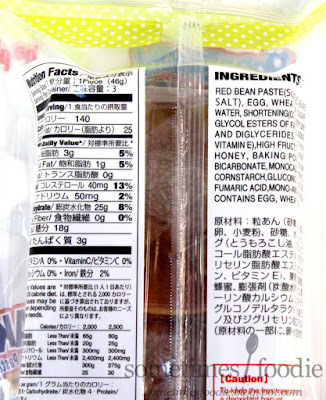 No really, I know bean-based desserts sound weird to most Americans, but it's actually very tasty and it's extremely popular in Asian countries like Japan, Korea and China. You can have sweetened red beans added to bubble tea, shaved ice, parfaits, cakes, and pretty much any kind of dessert you can think of. 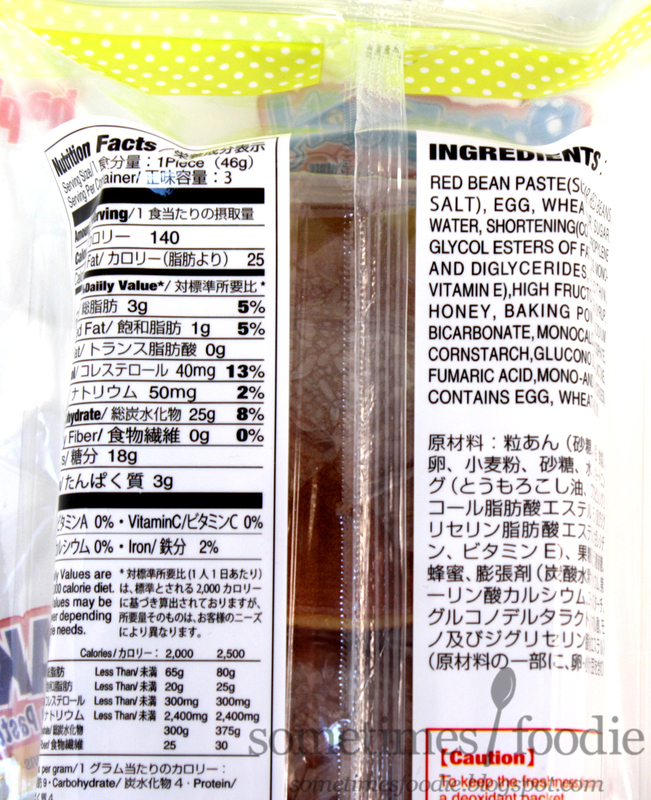 Maybe bean-based sweets will become more mainstream here in the states with recipes like these black bean brownies gaining popularity, but for now I find that it still weirds a lot of people out. It's the anywhere door! Not going to lie, I'm a little disappointed. It seems like these stickers are more-so items from the series than characters or scenes, and I rather have the latter, but still, free sticker! At least the foil packaging was really cute. 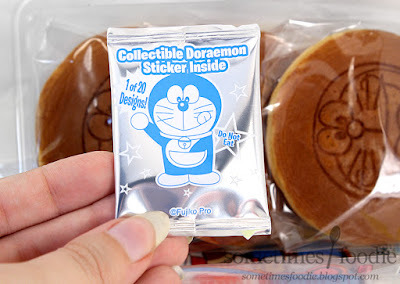 As for the dorayaki themselves, the "pancakes" feature Doraemon's face, and they have more of a snack-cake-like-consistency than an Americanized pancake. 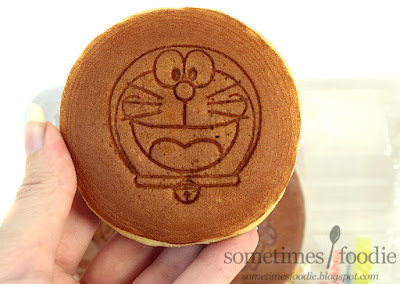 Technically these pancakes are made using a castella recipe, which is similar to the texture of store-bought Angel Food Cake, Twinkies and other American snack-cakes. So this "cake" is soft and spongey with a bouncy texture and a simple, but pleasant, vanilla flavoring. It's sweet without being overly sweet, and it's really enjoyable, but it's very similar to American snack cakes you can guy at any store. What sets it apart is the filling. This light and delicate cake pairs nicely with the earthy, occasionally peanut-butter-y texture and flavor of the red bean paste. 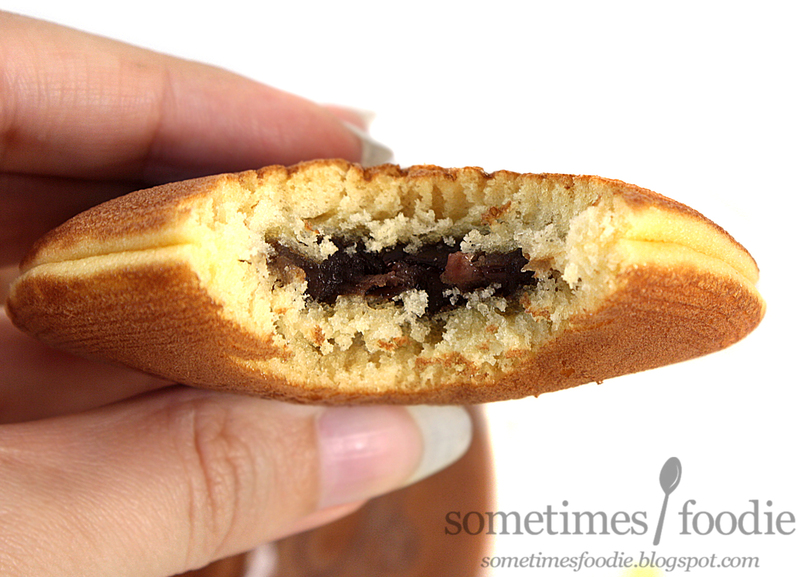 Since this filling is made with beans it has a...bean-y texture. It's hard to describe without it sounding bad. I want to say it's gritty and starchy, but that doesn't sound appealing, even thought this stuff really does taste great. There's the occasional bean-skin texture, but the overall consistency is smooth and kind of hummus-like. Ug, all of these descriptions sound so bad, but trust me, it tastes good.